A suspected DUI crash on West 59th killed 48-year old William Lamar Walker and a mother of three young children, reports the Los Angeles Police Department. Authorities say the accident happened early Sunday morning on the 1300 block near Normandie Avenue. Eight people were also injured in the accident, including three kids under the age of 10. The suspect, who is believed to have been intoxicated at the time of the incident, hit a minivan, mowed down a pedestrian and then ran over several parked motorcycles along the South Los Angeles road shortly before 12:50 a.m. LAPD sergeant Dana Adams says officials are investigating the cause of the crash, and believe that speed and alcohol were probable factors. The suspect – a 36-year-old man whose identity has not been released — suffered multiple injuries as well, and was hospitalized after being arrested. The alleged drunk driver was traveling southbound on Normandie Avenue when he seemingly lost control of his vehicle. His sedan veered across West 59th Place near Slauson and Normandie Avenues and crashed into a minivan carrying a family of five, including the 39-year old mother who later died of her injuries. This collision didn’t slow the driver down, however. He continued traveling several blocks and mowed down pedestrian William Lamar Walker, who was outside on the sidewalk and was later pronounced dead at the scene. The driver then crashed into a building where members of the Persuaders Motorcycle Club were hosting an event. First responders on the scene transported seven people to the hospital, including three children who were in the minivan, one of whom suffered a bone fracture. Authorities say that the young victims are all in stable condition. The coroner’s office says that William Walker was a youth football coach who lived in Bell Gardens. Friends and family of Walker gathered last Sunday night to hold a candle-lit vigil for the coach, as well as for the mother who lost her life. According to the California Department of Motor Vehicles, nearly one-quarter of all California DUI arrests took place in Los Angeles County in 2010. Every year, thousands of innocent people are seriously injured or killed in alcohol-related car accidents, which have lasting ramifications for victims and surviving family members. 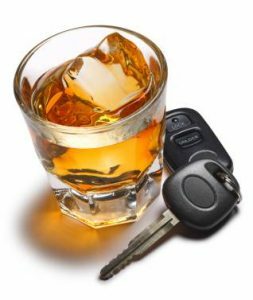 Penalties for DUI arrests in Los Angeles include fines, a license suspension, an ignition interlock device and up to six months in county jail. The fines and punishment increase with each successive DUI arrest. The majority of drunk driving cases are prosecuted as misdemeanors, though some incidents may be considered felony DUI. Beyond criminal penalties, individuals who have been convicted of a DUI in California may also face the possibility of a civil lawsuit filed by those who suffered harmed or lost a family member due to drunk driving. Here at Ellis Law, we understand the traumatic and life-altering emotional and financial losses faced by drunk driver victims, which is why we work tirelessly to ensure justice is achieved in such cases. Our attorneys are well-versed in DUI laws and have a successful track record of recovering sizeable settlements and verdicts on behalf of clients. Call 310-641-3335 to speak with a qualified Los Angeles personal injury lawyer about your rights to compensation.